CSA AL allowed opponents to score over 1.5 goals in last 3 away games in Serie B (Brazil). Brasil de Pelotas has under 2.5 goals in their last 3 games in Serie B (Brazil). Coritiba scored in last 3 home games in Serie B (Brazil). Coritiba scored in last 5 games in Serie B (Brazil). CSA AL scored in last 3 games in Serie B (Brazil). Coritiba allowed opponents to score over 1.5 goals in last 6 home games in Serie B (Brazil). 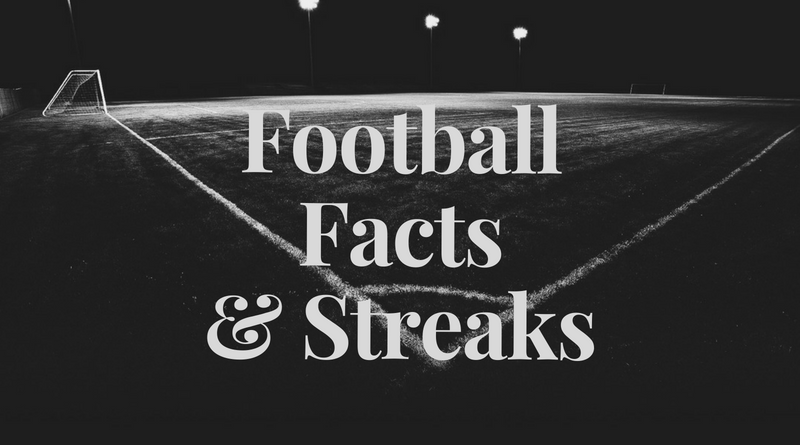 Brasil de Pelotas allowed opponents to score over 1.5 goals in last 3 games in Serie B (Brazil). Peru has over 2.5 goals in their last 3 international matches. USA scored in last 5 international matches. Mexico scored in last 3 home international matches. USA scored in last 4 home international matches. Peru scored in last 4 international matches. Peru scored in last 3 away international matches. Monagas has over 2.5 goals in their last 4 games in Primera Division (Venezuela). Deportivo Lara scored in last 9 home games in Primera Division (Venezuela). Monagas won their last 6 games in Primera Division (Venezuela). Monagas won their last 4 home games in Primera Division (Venezuela). Deportivo Lara scored in last 4 games in Primera Division (Venezuela). Monagas scored in last 17 games in Primera Division (Venezuela). Monagas scored in last 11 home games in Primera Division (Venezuela). Llandudno has over 2.5 goals in their last 4 games in Premier League (Wales). New SaintsNew Saints has over 2.5 goals in their last 3 games in Premier League (Wales). LlandudnoLlandudno scored in last 5 away games in Premier League (Wales). LlandudnoLlandudno scored in last 3 games in Premier League (Wales). New SaintsNew Saints scored in last 3 games in Premier League (Wales). Tauro scored in last 4 games in Liga Panamena de Futbol (Panama). Santa Gema scored in last 5 away games in Liga Panamena de Futbol (Panama). Arabe Unido won their last 3 games in Liga Panamena de Futbol (Panama). Sporting San Miguelito ended draw their last 3 games in Liga Panamena de Futbol (Panama). Tauro scored in last 11 home games in Liga Panamena de Futbol (Panama). Santa Gema scored in last 5 games in Liga Panamena de Futbol (Panama). Arabe Unido scored in last 3 games in Liga Panamena de Futbol (Panama). Sporting San Miguelito scored in last 4 games in Liga Panamena de Futbol (Panama). Arabe Unido allowed opponents to score over 1.5 goals in last 3 games in Liga Panamena de Futbol (Panama). Santa Gema allowed opponents to score over 1.5 goals in last 4 away games in Liga Panamena de Futbol (Panama).